"The cost $1.45 per sq. yd. shipped for 2 rolls. 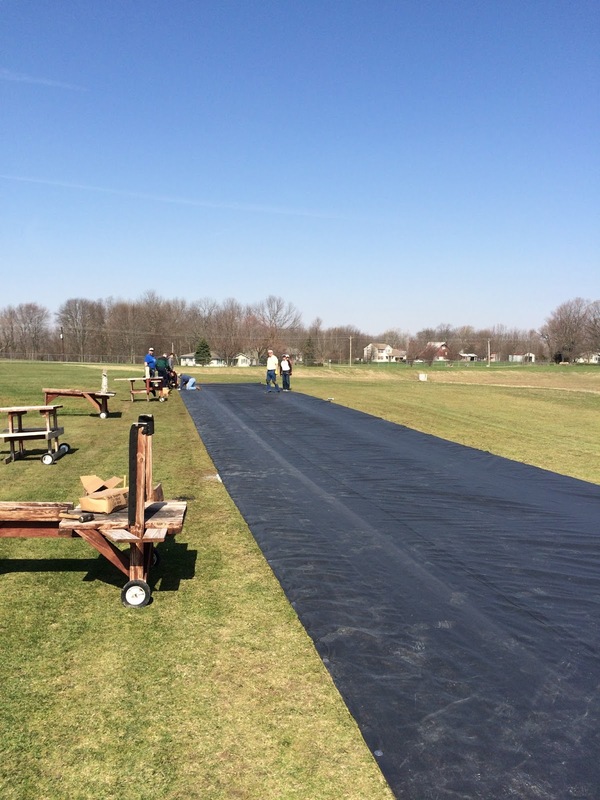 A roll is 15ft x 300ft = 500 sq yds = $725 per roll. I have attached aerials that show coverage of 2 rolls of material, one at 60ft x 150ft and the other at 30ft x 300ft. The cost of landscape staples and field prep would also need to be considered." Links to the aerials are below. Questions and suggestions can be sent to flyurbana@gmail.com or asked on flying days at the field. We have another prospective new member! The MRFA site has had more than 4000 views since the redesign at the end of April.